Mr. R. Buckminster Fuller was in attendance. 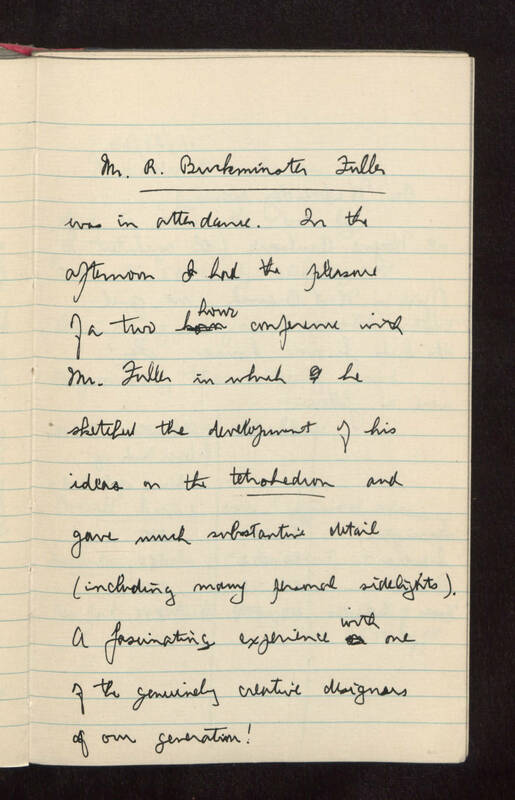 In the afternoon I had the pleasure of a two hour conference with Mr. Fuller in which he sketched the development of his ideas on the tetrahedron and gave much substantive detail (including many personal sidelights). A fascinating experience with one of the genuinely creative designers of our generation!